Due to the growing popularity, Fake Himalayan Salt lamps are popping up everywhere. Less than honest manufactures and businesses are capitalizing on this hot new trend. Himalayan salt lamps are not only beautiful decor pieces, they have many health benefits and the buyer demand is growing rapidly. This often opens the door to scammers and is also part of the reason why some claim Himalayan Salt lamps are a scam or don’t work. How to Tell if Your Salt Lamp is a Fake? There are several ways to tell if your salt lamp is fake. Real Himalayan Salt Lamps Sweat! If you lamp isn’t sweating you probably have a fake. It’s part of how they work. The proper term for this is Hygroscopy. The cleansing of air by absorbing moisture and airborne particles and evaporating pure water. Many think their salt lamp is leaking and become concerned, but it’s just a sign that your salt lamp is the real deal. While this is one of the less desirable features of a real salt lamp, there are things you can do to help this. Please remember to protect your furniture. Read More About Your Sweating Salt Lamp Here. If you salt lamp is really bright or white, it’s probably not genuine. The light is pinkish or orange in color. If you salt lamp is not pink or orange in color, but white, it’s doubtful it’s real Himalayan salt. 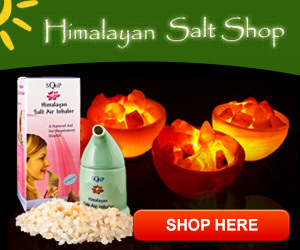 While there is a such thing as white Himalayan salt, it’s very rare and very expensive. If your lamp is white and was cheap, you have a dud. They will not take a beating. They chip, and if dropped will usually break. If you accidentally bang it on something and it doesn’t chip or crumble a bit, it’s not real. If when you pick it up, you don’t get salt dust on your hands, it may be fake. Many times they will not survive shipping, which brings me to my next point. Legitimate distributors and manufactures are aware of how fragile Himalayan Salt Lamps are. They will be packed with care. These distributors and manufacturers will also have a reasonable return policy due to this simple fact. If you get a salt lamp and it’s not packaged with protection, buyer beware. This is especially true in those big box stores where you find them. You will find a thin box and zero packing materials. Not a good sign. So make sure and check out the return policy and if you get a salt lamp poorly packaged and it survives the trip to your home, there may be a problem Houston. Himalayan sea salt is found in the mines at the Western edge of the Himalayan mountains in Khewra Pakistan. It is not located anywhere else on earth. This should be plainly stated on their website if you are shopping online. I buy all of my salt lamps at the Himalayan Salt Shop. They are real and I trust them. Providing you have chosen the correct size salt lamp for your room, you should feel some benefits. My house is old and has a musty smell especially in a rainy season. The salt lamp cuts down on this musty smell tremendously. With the right size and right amount of salt lamps in your home, you should notice an improvement in your overall air quality and reap the health benefits. 1 How to Tell if Your Salt Lamp is a Fake? 1.1 Real Himalayan Salt Lamps Sweat! 1.2 Read More About Your Sweating Salt Lamp Here.